This Mother’s Day bring your mom out for a fun and adventurous paddling excursion. We are offering a free kayak or paddleboard rental to all moms with the coupon below and the purchase of a rental. 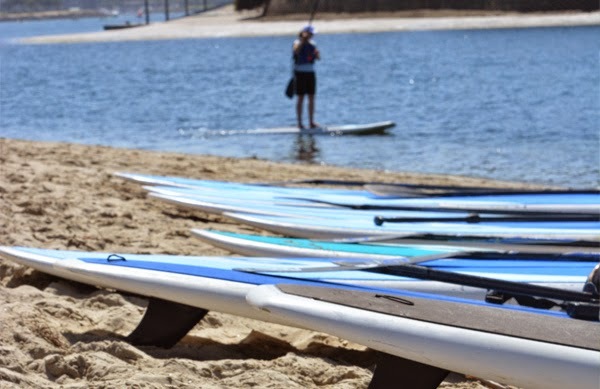 Whether the mom in your life is a friend, spouse, or the person that raised you, bring her down for a fun paddle on Mission Bay. If you want to make it a super special weekend adventure, we recommend stopping by Olive Café for an early morning breakfast, midday brunch, or afternoon lunch pre or post paddle. Give that special mom in your life a fun opportunity to explore Mission Bay while spending some quality time with you. Simply display the coupon below on your phone or print it out and bring it in to get a Buy One, Get One Free discount Saturday, May 9 or Sunday, May 10. Our current rental hours are 8:00am-5:30pm and our rentals are good for up to 2.5 hours.